Consortium Program to Benchmark Contractor’s Management and Marketing Capabilities and Business Success Index. Peer Review to Ensure Focused Turnaround Planning and High Performance Execution. 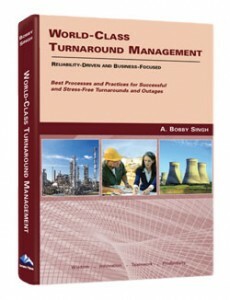 Discover insights and breakthrough strategies for success on your next turnaround or shutdown. Select High Performance Contractor and Maximize Return on Company’s Contracted Dollars. Get answers to your questions that will ensure success on your turnaround or capital project.